Deciding to embark the Way of St. James is only the beginning of your journey. You still have to plan which way you’ll go, and there are literally dozens of Camino de Santiago routes from all over Europe. Each route offers a unique experience for pilgrims as they make their sacred sojourn to Santiago de Compostela, that the thought of having to settle with just one route seems impossible. But really, all it takes is a few considerations for you to decide, and we’re here to help with how to choose the best Camino de Santiago route for you. To make things easier, we’ve narrowed it down to the 12 main waymarked trails. Routes begin at different parts of Europe including Germany, Switzerland, Ireland, Poland, and the Netherlands. The main routes, however, can be found in France, Portugal, and Spain, and converge at Santiago de Compostela. With routes starting from separate locations, you can expect each to have varying distances from the pilgrimage site. Depending on your preference and ability to travel, there are shorter and longer routes to choose from. The shortest routes you can use are Camino Finisterre (87 km) and Camino Ingles (110 km) in Spain; and Camino Aragonés (160 km) along the French-Spanish border. For more dedicated pilgrims, the longest routes are Camí San Jaume (600 km), Camino de Levante (900 km), and Via de la Plata (1000 km) in Spain; and Camino routes from France – Chemin du Puy (740 km), Chemin d’Arles (750 km), Camino Francés (790 km), Camino del Norte (830 km), Chemin de Vézelay (900 km), and Chemin de Paris (1000 km). The remaining Spanish and Portuguese routes are quite in the middle and have about 300 kilometers or so on their paths. They are Camino de Madrid (320 km), Camino de Primitivo (320 km), Camino Mozárabe (390 km), Camino Portugués Central (241 km) and Camino Portugués da Costa (372 km). Another important thing to consider is your ability to walk long distances, as well as those traveling with you. Pilgrims who are more able (i.e. young age, no physical disability or illness) should be able to travel across long and difficult routes. 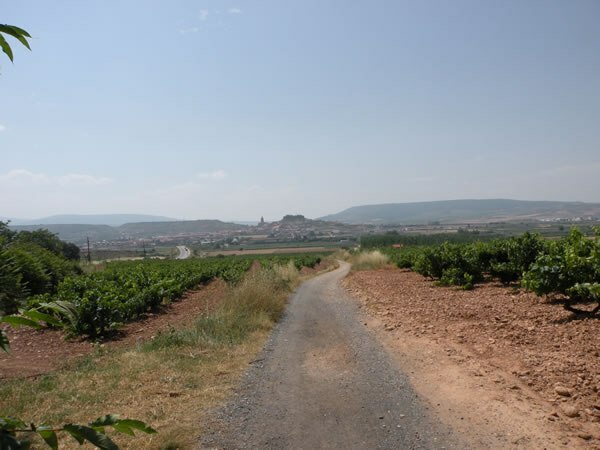 A good example is the French Way (Camino Francés), which can be challenging once you reach the Meseta. Pilgrims who are less able (i.e. children, elderly, people with physical disability or illness) should use the Portuguese Way (Camino Portugués) as an alternative. Not only is the route easier, it’s also more family-friendly. Some Camino de Santiago routes are undoubtedly more popular than others. The more popular a route is, the more pilgrims you will come across with. And you’ve got to wonder why these routes are busy because there’s usually a good reason behind it. If you don’t have any problem with larger crowds, or if you otherwise enjoy socialising and meeting new people, you could always go the French Way or the Portuguese Way. No matter the time of the year, they get plenty of traffic for several reasons. TheseCaminoss are well-marked, so there’s barely any chance for you to get lost here. Restaurants and villages are evenly spaced, and there will always be a place for you stop and refresh every 3 to 5 kilometers. The French Way is best route for first-time pilgrims, since information and commercial transports are more readily available. The route also passes by large towns with health care services, should you need any medical assistance. Camino Primitivo, although less frequented, is popular in its own right. It is the Original Way – the route taken by the first pilgrims of Santiago de Compostela. For pilgrims who prefer cycling to walking, it is best to avoid the French Way. Portugués da Costa (The Portuguese Coastal Way) and Camino del Norte (the Northern Way) are perfect for these activities, especially during the summer months. Via de la Plata and Camino de Invierno are the two least popular routes, and there aren’t very many pilgrims around these places. Thus, they are the perfect Ccamino routes for people wanting an off the beaten track experience, or simply prefer traveling with fewer pilgrims. A lot of pilgrims wonder when is the best (and worst) time to travel to Santiago de Compostela and which route they should take. Generally, the crowds and weather are more forgiving during April, May, June, and September. Routes wouldn’t be as busy as with the summer months, and the climate will be warm or hot – which makes for much better walking than the cold. February, March, and October are still good months to walk the though you would have to prepare for the rainy weather. January and December are the worst times to travel in terms of weather since it will be winter in Spain. July and August are not good months either. These are the peak months and therefore the busiest. Booking tickets and hotels will be more difficult, and the more popular routes will be too crowded. Finally, if you are choosing a Camino de Santiago route that best suits you, you should never forget to factor in the attractions. Santiago de Compostela may be a wonderful destination at the end of your journey, but that doesn’t mean you should miss out on tourist attractions along the way. Chemin de Paris in France is especially popular among tourists. Portugal, on the other hand, provides stunning views of the coast with Camino Portugués da Costa. By now, you already know how to choose the best Camino de Santiago route for you. It really depends on a lot of factors – such as the distance needed to be traveled, your physical ability, the people coming with you on the pilgrimage, the popularity of the place, the time of year, and the attractions you’ll be seeing. In the end, the route you choose will decide how great your experience will be.